John B. Lindsley was a significant nineteenth-century educator, physician, Presbyterian minister, author, and civic leader in Nashville. He was born in Princeton, New Jersey, and came to Tennessee with his family at the age of two when his father, Philip Lindsley, accepted the presidency of the University of Nashville. He was educated at the University of Nashville and at the medical school of the University of Pennsylvania, where he received his M.D. degree in 1843. In 1846 Lindsley was ordained as an evangelist in the First Presbyterian Church and appointed to a pastorate at the Smyrna Church in Rutherford County. The next year he began preaching as a domestic missionary, ministering to slaves and the poor. In 1850 Lindsley helped to make one of his father's fondest hopes a reality by participating in the establishment of the Medical Department of the University of Nashville and serving as its first dean and professor of chemistry and pharmacy. In 1851 he was elected to the American Medical Association and to the Board of Trustees for the common schools of South Nashville, presiding as chair of its first meeting. All but the Medical Department of the University of Nashville suspended operations in 1850 due to the city's cholera epidemic and the resignation of President Philip Lindsley. In 1855 John Berrien Lindsley was elected chancellor of the university and given the charge to revitalize its Literary Department (liberal arts program). While the father was a man of impressive scholarship and discipline, the son was a man of prodigious energy and versatility. He completed negotiations for the merger of the Western Military Institute and the University of Nashville and undertook an ambitious program for the renovation of the curriculum and buildings of the university. 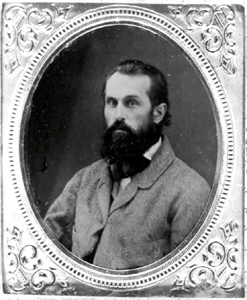 Throughout the Civil War Lindsley served as post surgeon of Nashville hospitals and alone protected the library and laboratory of the University of Nashville from the occupying army. In 1857 he married Sarah McGavock, daughter of Jacob McGavock and granddaughter of Felix Grundy. In 1866 Lindsley was appointed superintendent of Nashville Public Schools. The following year, he arranged for the establishment of Montgomery Bell Academy and petitioned the Peabody Education Fund to appropriate funds for a normal school (teachers' college) at the university. In 1870, discouraged by the university's inability to recover from the decline caused by the Civil War, Lindsley resigned as chancellor and helped in organizing the Tennessee College of Pharmacy. During the last two decades of his life, Lindsley's efforts on behalf of public education, public health, and prison reform claimed most of his attention. He served at various times as president of the Tennessee State Teachers' Association, Health Officer of the City of Nashville, a director in the National Prison Association, treasurer of the American Public Health Association, and executive secretary of the Tennessee State Board of Health, and he guided the city through the 1878 outbreak of yellow fever. He wrote widely circulated pamphlets such as On Prison Discipline and Penal Legislation, Practitioners of Medicine as Men of Science, Public Health Movement, On the Cremation of Garbage, and Popular Progress in State Medicine. In 1886 he edited and published the monumental Military Annals of Tennessee: Confederate. Lindsley was a founder of the Tennessee Historical Society and the American Association for the Advancement of Science, a charter member of the American Chemical Society, a fellow of the American Academy of Medicine, and a fellow of the Historical Society of London and of the American Historical Society. He died in 1897.